Ex-cop Frank Harper doesn't want to get involved. 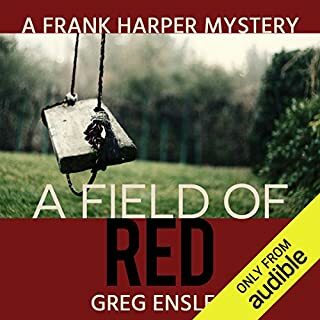 Harper is visiting the small Ohio town of Cooper's Mill, trying to reconnect with his estranged daughter and a grandson he's never met. But he finds the town gripped in fear - two young girls have gone missing, taken in broad daylight from a busy street. And the police are coming up blank. But once Harper is drawn reluctantly into the investigation, he'll stop at nothing to find the girls. And he doesn't care who gets in the way. Seven days have passed since Naples real estate agent Megan MacKenna has heard from her twin sister, Madeline, who was vacationing on the beautiful Caribbean island of St. Croix. 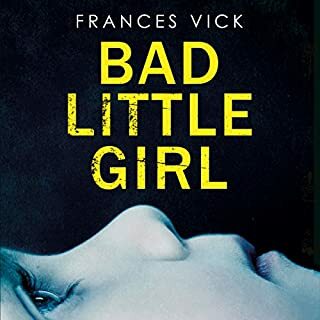 Though authorities are not convinced there is a case to solve, Megan knows with all of her heart something happened to Maddy. When Megan receives a direct warning to leave the island or end up like her sister, she turns to the only person who has taken her seriously since she arrived, Gabe, a breakfast cook at a local diner. After Miranda Lewis escapes from her controlling ex, she ends up on a foggy island off the Maine coast. Miranda, at last, feels safe - especially when she's with Owen Larsen, a gruff, reclusive woodworker with a kind heart. But Miranda's ex won't let her go without a fight, and the island hides perils of its own. After a terrible fire hints at secrets that divide the island, Miranda must decide who to trust, even as she's falling hopelessly in love with Owen, and even as danger threatens both their lives. Art-history student Zelda Richardson is working at the Tropenmuseum in Amsterdam on an exhibition of bis poles from the Asmat region of Papua - the same area where a famous American anthropologist disappeared in 1962. When his journal is found inside one of the bis poles, Zelda is tasked with finding out more about the man's last days and his connection to these ritual objects. Zelda is pulled into a world of shady anthropologists, headhunters, missionaries, art collectors, and smugglers - where the only certainty is that sins of the past are never fully erased. Join Zelda as she grapples with the anthropologist's mysterious disappearance 50 years earlier and a present-day murderer who will do anything to prevent her from discovering the truth. All four mysteries in the Adventures of Zelda Richardson series are stand-alone novels, and they can be listened to in any order. Cannibals & ritual masks, on my! Note: Even though this is Book 3, it works fine as a stand alone novel. Zelda Richardson continues to stumble around the antiquities gathered in Holland, making enemies and uncovering old mysteries. I liked this story quite a bit more than Book 2 mostly because I like Zelda more. She’s grown up a bit and now comes off as perhaps 20 years old instead of 15. She’s still a bit unsure of herself and not the swiftest to catch on, but some of that can be excused by the extraordinary circumstances she finds herself in. Papua, New Guinea is the featured culture in this novel. Once upon a time, Dutch colonists cluttered up the Papua countryside bringing Christianity, modern medicine, and boxer shorts while also taking away cultural artifacts. The story portrays both sides of how modern peoples with their religions and sciences both helped and harmed the native peoples. I really like that the author didn’t shy away from showing this. It would have been easy to throw a rosy blanket over it but it’s way more interesting this way. Zelda is still hanging out with her friend Friedrich but he’s got a much smaller role in this novel. Zelda still has him strictly in the Friend Zone even as she dates a few other guys. Her boss (Meric – spelling?) still questions if she’s the right one for the internship or not. Basically, Zelda’s life is this constant teetering see-saw. Albert Schenk still isn’t her fan. The Amsterdam museum she works for is trying to gather enough Asmat New Guinea art pieces for a good show and Zelda has been tasked with gathering as much basic info as she can. In digging up info, she learns of an American artifact obtainer, Nicholas, who went missing in the 1960s. The story has a series of flashbacks showing what Nicholas was doing up to his disappearance and those are quite well told. Even as I enjoyed them, I wish there had been more Papua characters in the tale. In the 1960s, the priests sent to convert the indigenous peoples to Christianity were instructed to destroy old, ritualistic artifacts and art (which had been obtained by trading medicine and living utensils for them). This put some people in a difficult place – not everyone agreed that destroying these cultural items was the right thing to do. It’s a great little slice of questionable history to explore through this murder mystery. The murder mystery part is a little long in getting spun up but I felt it was a delicious burn. We have one murder at the museum that doesn’t point to anything Zelda is tripping around in. Then later we get a second one that definitely points to whatever Zelda has gotten herself in. Plus there’s that decades old mystery of the missing American to solve. In the end, things mostly get figured out by Zelda though one small piece to the puzzle comes out in a random confession… and I felt that was a plot device and not really something the character would do. All told, it’s an interesting mystery and I’m now warmed up to Zelda. 4/5 stars. The Narration: For some reason, this series switches narrators which I find a bit distracting when I’m listening to a series back to back. Chelsea Stephens does a good job with Zelda’s voice. All her character voices are distinct though her male voices need masculinity. She did a good job portraying Zelda’s emotions and her pacing was good too. I know it’s a bit to ask, but since this is set in Holland, it would be nice to have a Dutch accent for the Dutch characters. That would really make it feel like the story is set in Amsterdam and not just any Midwestern USA city. 4/5 stars. I don't really know anything about anthropologist so I found this book really interesting. The author gives us an insight into their lives. I felt like the author knew what she is talking about. She either did her research really well or she is one herself. I figured out who did it early on but this did not put me off. There is no sexual content (happens behind closed doors) or profanity. It does have some violence but it is not graphic. You can make a lot of money selling stolen art and artifacts and Zelda Richardson should know since these strange mysteries seem to follow her everywhere! What will her next mystery be? Who will be after her next or what trouble will she find herself in? Alderson provides her readers with a fascination of the interworking of famed museums in Amsterdam through the eyes of an intern, but in this installment—the artifacts are the mystery. Zelda has been asked to help with data entry at her newest intern position. Once she does this, then she is almost finished with the Master’s Program. What starts out as simple artifact research, turns into a fiasco. These artifacts have come from different areas like Dutch New Guinea, Borneo, Fiji, and Indonesia to the museum’s lab after a flood at the Academic Medical Center. They are all mixed in with each other in crates and some were left to rot. The research team will have a field day going through all of the artifacts and piecing everything together. In one of the crates opened, a journal, belonging to a famous anthropologist who disappeared in 1962, is found and Zelda is tasked with making photocopies, even though the curator expressly forbids it. Zelda feels that she has a duty to provide this man’s family with some answers, so the snooping begins. At what cost is she willing to go to get those desired answers, especially after murder. Feeling justified in her actions, Zelda knows that uncovering the disappearance of Nick Mayfield may be crucial to discovering an even bigger scheme—and someone wants to keep that information under wraps. Alderson has an amazing third installment with superb character development. This mystery and adventure takes readers into the artifact world and the cutthroat politics involved in retrieving them. The pace is quick; however, the narration may not capture the audience the same way that the second installment did. 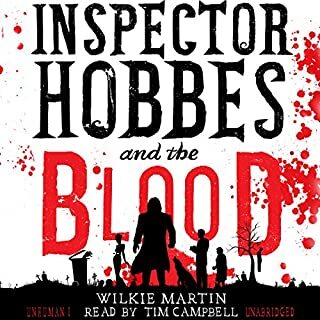 This narration feels rehearsed, devoid of character differentiation which may not be as enjoyable to the reader if the vocalizations play a major factor in enjoyment of an audiobook. There is a change in narrator from the second book to the third book. 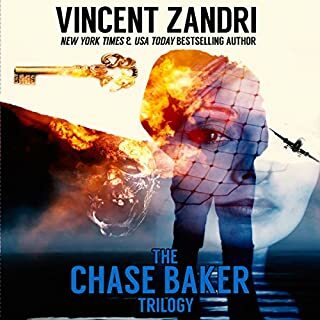 Since this review is complimenting the audiobook, it appears that the story is well-written since the voice relay is clear and flows effortlessly. If you are a reader of mysteries and adventure, you may enjoy reading this story. 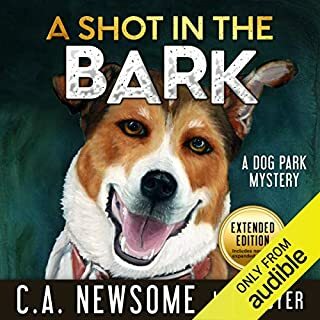 This is the third installment in The Adventures of Zelda Richardson; however, it can be read as a standalone as far as the mystery goes, but some of the characters’ lives carryover from prior installments. An audiobook was provided to Turning Another Page by Audiobookworm Promotions and in no way affects the honesty of this review. We provide a four-star rating to Rituals of the Dead by Jennifer S Alderson. Audio Book Review. Though Rituals of the Dead is the third book in the Adventures of Zelda Richardson series, it was the first for me and my introduction into Zelda’s world. The librarian in me connected with the art-historian in Zelda as we both appreciate finding and processing information from the past and present. This book easily stands alone, but the scattered references to some prior hair-raising adventures piques my curiosity about the other books. The book starts out in 1962 as a man is bailing-out a sinking boat. From there, readers will jump to events of 2017, which sets the standard for two parallel stories unfolding. The story in the ‘60s is a slow building, high interest one while the current story moves at a faster pace. Readers can almost see how these lines become closer and closer to finally merge for an exciting culmination and big reveal as to whodunit and why. History and lovers of diverse cultures will be treated to the historical details that author Jennifer Anderson has included in the book. Who doesn’t enjoy a bit of the true but macabre tribal rites and rituals found in faraway places? Admittedly, I am no expert, but it seems the author has done her research. Some sections get a little too history-book-heavy, but the historical information makes the reader think. Anderson subtly and not-so-subtly reminds readers about the western impact on native cultures and our tendency to corrupt what is sacred to others. Rituals of the Dead shows that even when the motive is good, unintended consequences are not. For example, when one of the characters tries to help the tribe by buying its artifacts, the result is that they increase their headhunting activity! The premise of Rituals of the Dead is completely unique, and the story is fascinating. There are a few holes in the storyline, and there are some things that happen that are just a bit too convenient, but it doesn’t push the reader’s ability to suspend disbelief. There is plenty of death and murder, but I never felt a real sense that Zelda was in real danger – she certainly didn’t seem to worry as she made some extraordinarily bad choices and put herself in precarious positions. 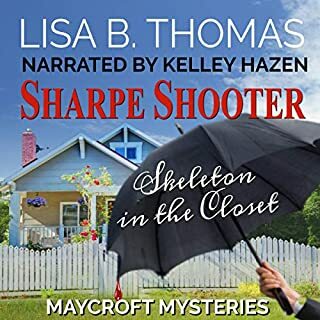 ABOUT THE NARRATION: Chelsea Stephens does a great job narrating Rituals of the Dead, and meets the challenges of voicing both male and female characters as well as some accents and difficult vocabulary. Many of the males sounded a bit haughty, which matched the attitudes of some but not all. Overall, she had an even and enjoyable delivery. I listened at 1.25x speed, which was perfect for me. I look forward to reading the prior books in this series and any future installments Anderson may have in store, but I may switch to print for those. Though the audio narration was excellent, the downside for me is that when faced with factoids of dates, I need to see the words with my eyes to process some of the history. I have listen to other books by this author and have really enjoyed them, and this one did not disappoint. She does a wonderful job keeping the mystery alive and also the story unique. The narrator does a wonderful job as well which only adds to the overall fun of this book. I would definitely recommend to anyone who enjoys a good mystery. Rituals of the Dead: An Artifact Mystery Adventures of Zelda Richardson, Book 3, First I've read in the series and the first I've read by this author. A good read/listen, entertaining and the chapters about Papau were very interesting and intrguing. Narration is very clear & concise and easy to listen to. Zelda is an intern at a museum in the Netherlands.She comes into danger when she finds a journal among boxes of bones and starts asking questions.Well written.Very interesting.I really enjoyed this book!Chelsea Stephens was a fine narrator.I was given this book by the narrator,author or publisher free for an honest review. If you like Archeology n mystery. listen to this. I received this book free from Eblast, the author, and publisher. this is my unbiased opinion. I enjoyed the book. I really can't think of too many criticisms, maybe a bit slow. Definently worth your time. I enjoyed listening to this book. At times, I found the story intense, fascinating and because of the greed and disregard for the indigenous people and their culture, sad. I've always had an interest in Anthropology and Archaeology so I easily got into this story and would recommend it to anyone who likes this kind of thing. This book was given to me for free at my request and I provided this voluntary review. 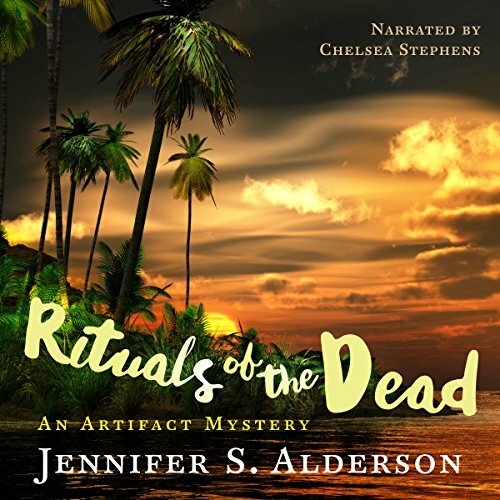 Rituals of the Dead: An Artifact Mystery: Adventures of Zelda Richardson, Book 3 by Jennifer S. Alderson, narrated by Chelsea Stephens is very deserving of 5/5 stars across the board. Not only will you be kept in suspense and wonder, but you will also stay thoroughly entertained from start to finish. If you love historical fiction, mysteries, and culture, you are definitely going to love this audiobook. It is thought-provoking and very-well researched! In fact, it is so well-researched that I had to check if it was actually fiction. I love audiobooks, so, natually, when I find a good one, I can't help but recommend it to others. I have to also say, if you are looking to read a book, yourself, or if you are deciding on your next group or book club read, this one would be a wonderful choice. It can be read as a stand-alone or as part of a series. The content allows for a variety of thoughts and opinions on situations that are real and relevant, which provides wide opportunity for discussion. The characters are relatable and likable, especially Zelda, and it is highly enjoyable! I cannot wait for the next audiobook to be released! Zelda Richardson had secured an internship at the Tropenmuseum in the Netherlands and was present at the press worthy arrival of crates of artefacts collected years before from the head hunting, ancestor worshiping Asmat tribes of Papua before Christian missionaries put an end to their belief system, activities and, consequently, their art. The boxes had been in storage for decades and had been delivered to the museum for a forthcoming exhibition. But the opening of one of the huge boxes held a surprise, the journal of a collector who disappeared without trace some 50 years before. The story artfully moves between the present day preparations for the exhibition and Zelda's investigation, and the story of Nicholas Mayfield, the man who's journal that had been found. And along the way, much fascinating information about the Asmat and the political situation extant at the time. All is well written and with nice characterisation. Narrator Chelsea Stevens has a clear voice, her intonation good, if a little stilted at times. Young sounding, she is an excellent voice for the youthful main protagonist, Zeke, and she delivers distinctive seperate character dialogue. I was really impressed by Jennifer S Alderson with this book. Archeology has always intrigued me, and this book pulled me in from the very beginning. I haven't thought much of rituals of the dead from other countries before listening to this book. I am not naive in believing that shady things do not happen when dealing with antiques and art from other places. This book really brought to light how some things could have been done. The author was brilliantly clever in solving this case, and had unexpected twists. The performance by Chelsea Stephens was great. I really thought she did great with the suspense and proper emotions.